Posted in General Information on September 15, 2018 by Bruce Caravan. At this meeting we will be accepting nominations for the upcoming executive positions. Vice President, Recording Secretary, and Secretary Treasure. The term for each of these positions will be Three (3) years. 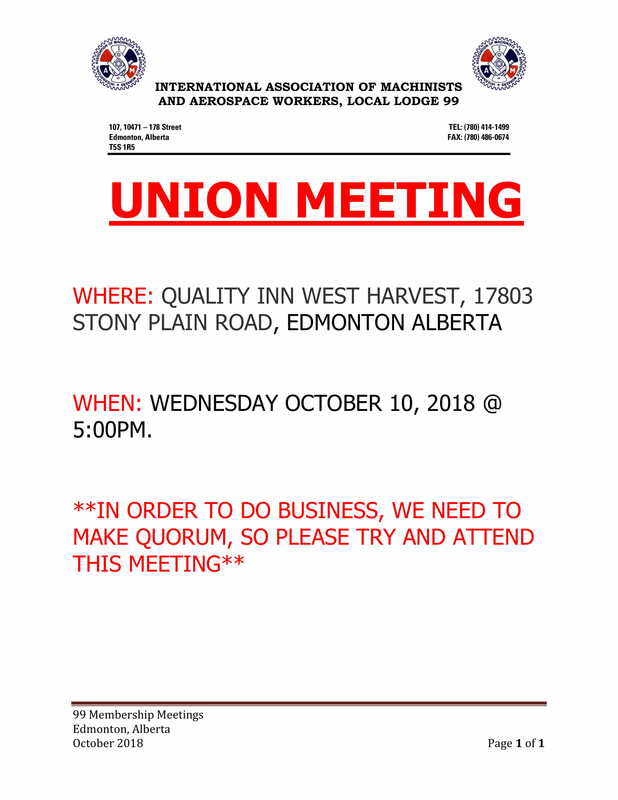 If you or somebody you know would like to run for a position on the executive please come to this meeting, If you can not make it to this meeting you can email in a nomination or an acceptance for one of these positions. 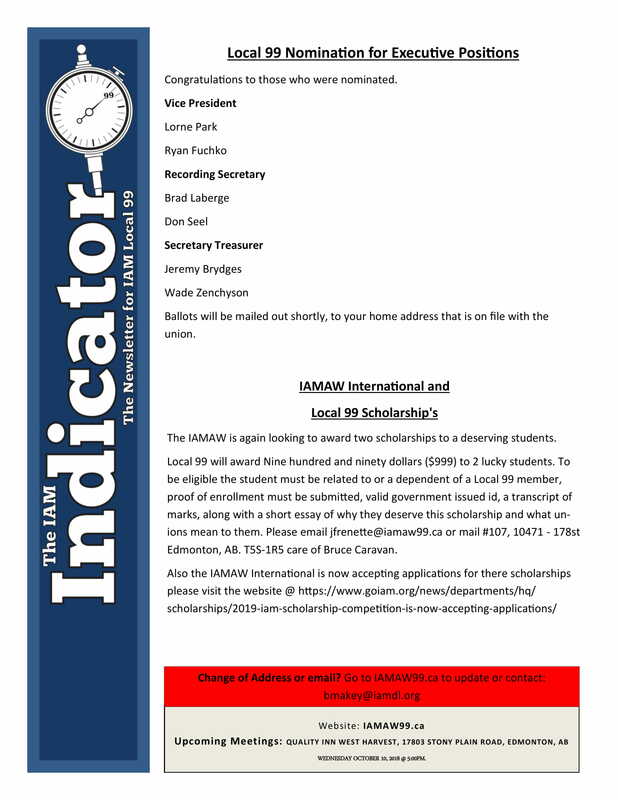 With the absence of an RS can you please email both jfrenette@iamaw99.ca and rfuchko@iamaw99.ca and these will be read out at the meeting during the nomination period. 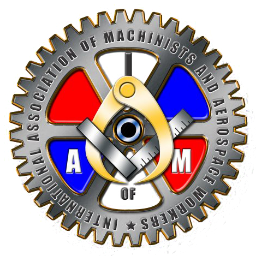 Note** A member can nominate themselves and then also accept the nomination. 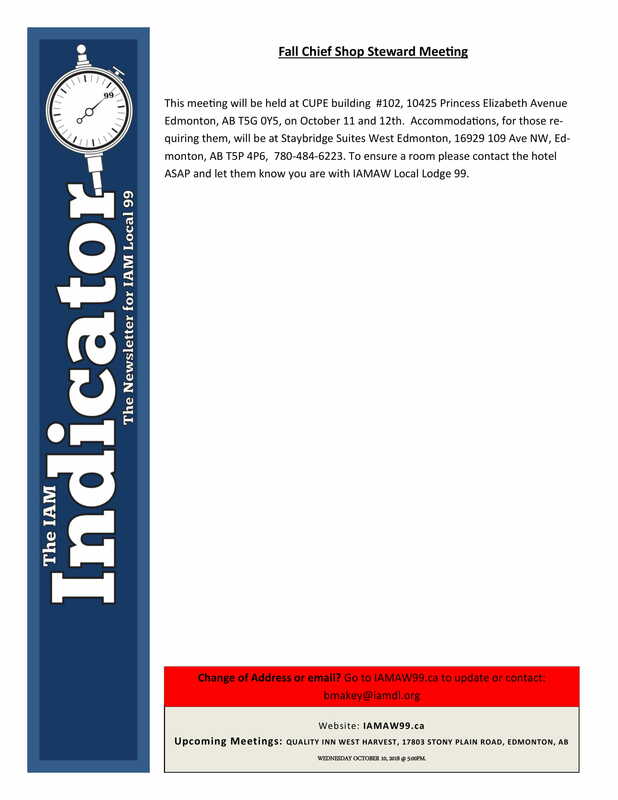 The counting of the ballots for these elections will happen in November at the membership meeting in Calgary. 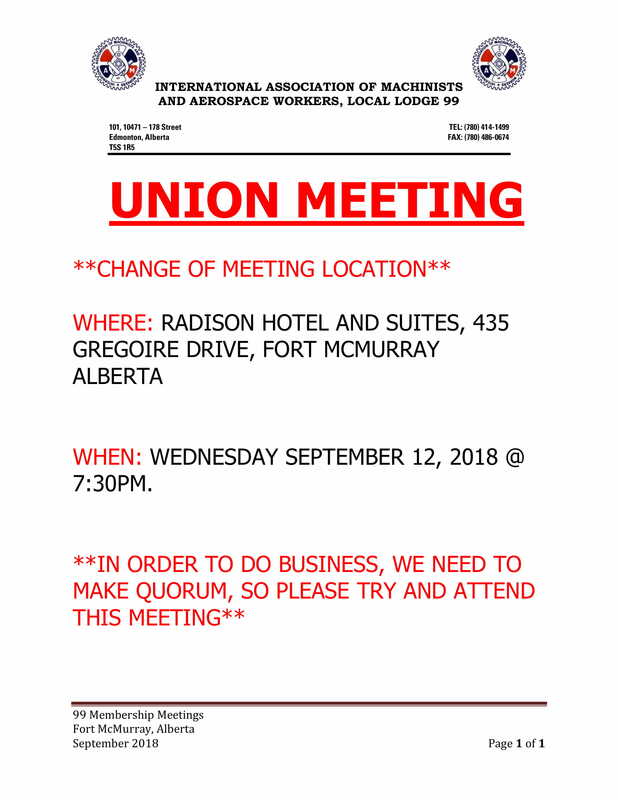 Posted in General Information, Meetings, Union Elections on September 1, 2018 by Bruce Caravan.